For Voodoo Spells and Voodoo Rituals ~ Altar Candles of the Lwa! 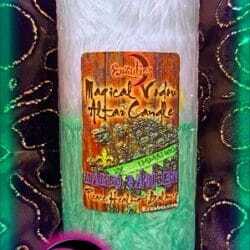 Magical Voodoo Altar candles handcrafted with organic wax, essential oils and natural mica colorants to capture the essence of the Voodoo spirits. Candles have always been a mystical element for all traditions; it is known to attract spirits and empower your ritual. 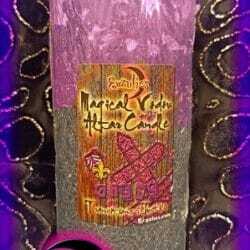 Candle flames also provides focus for those performing rituals and adds a sacred quality to your spiritual ceremony. 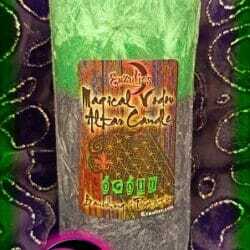 Like everything at Erzulie’s, these Voodoo ritual candles are based upon the Root Queen’s formulary: hand-blended and hand-poured using the finest organic ingredients to raise the magical vibrations, infuse your ceremonial area with exquisite aromas and heighten your consciousness when performing your magical rituals. 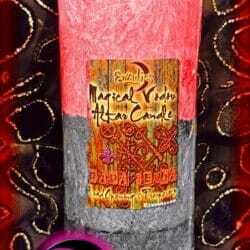 You will find Erzulie’s Jumbo Voodoo altar candles of the Lwa to be slow burning, long lasting and designed to be re-used over and over as they re-solidify when extinguished. Due to the extremely high pure essential oil content in our ritual candles, chilling your altar candle every so often will extend their usage as our candles contain no chemicals or hardeners. 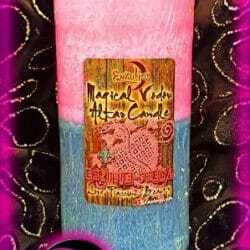 Our Voodoo Altar Candles of the Lwa are the perfect magical supplement for our Voodoo Spells Kits, Voodoo Altar Candle Rituals, Magical Voodoo Dolls and Powerful Voodoo Spells & Rituals exclusively at Erzulie’s Voodoo in New Orleans!